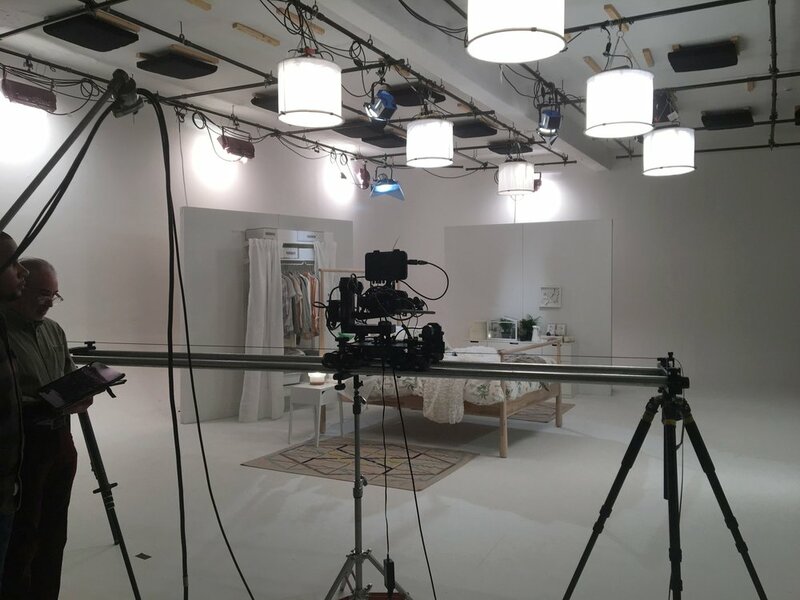 Time Inc came in to produce a series of videos at our video and photo studios for a new line of products from IKEA. Each look was created in our NYC based film studios in 28 minute shots that will be sped up into a stylized hyper lapse to help show their customers different ways to style a bedroom using different variations in our video production studios with their products. This technique was definitely the first we've seen in our photography and video studio rentals. The set was lit with our in house grip and electric film equipment and shot on our camera equipment packages. Nice to see that they were able to achieve this without the use of green screen or CGI. Coming soon!